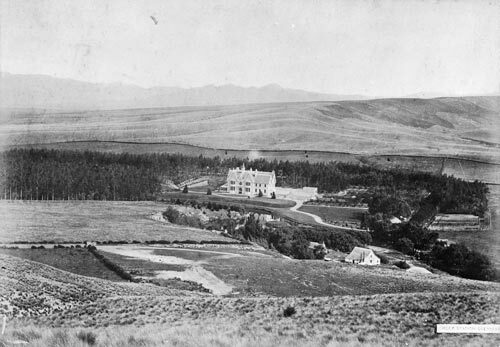 George Henry Moore built his homestead on Glenmark station in 1888. Like other Canterbury runholders he built up his property on the back of profitable pastoral farming, the generosity of his bank, and his use of cheap leasehold land. He began as the farm manager, and acquired Glenmark at auction in 1873. He paid £90,000 for 38,935 acres (15,756 hectares) of freehold land, but this was linked to another 78,740 acres (31,865 hectares) of leasehold land. Eventually the run carried over 90,000 sheep and was the most valuable in the colony. Holdings on this scale were not found in the North Island.